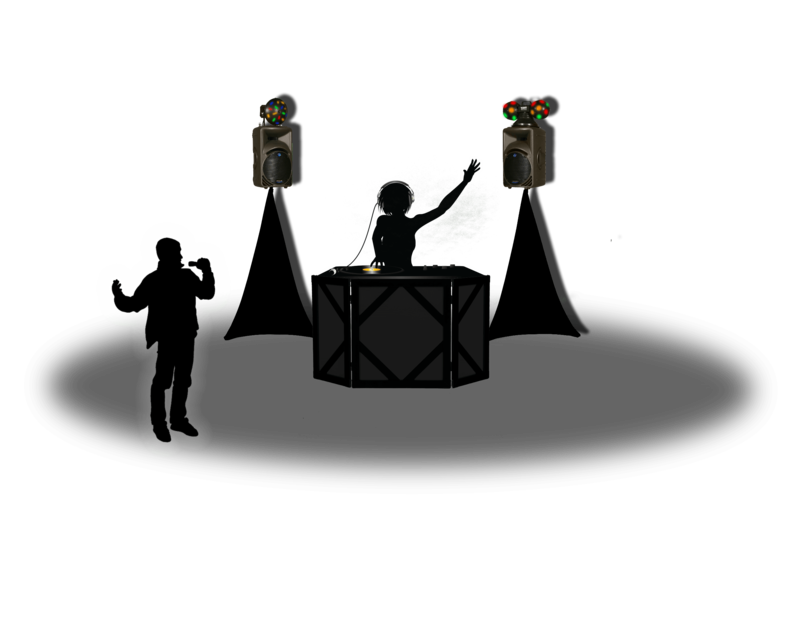 A single entertainer performs both tasks. As Master of Ceremonies and Disc Jockey simultaneously operating his own equipment and cueing up his own music. 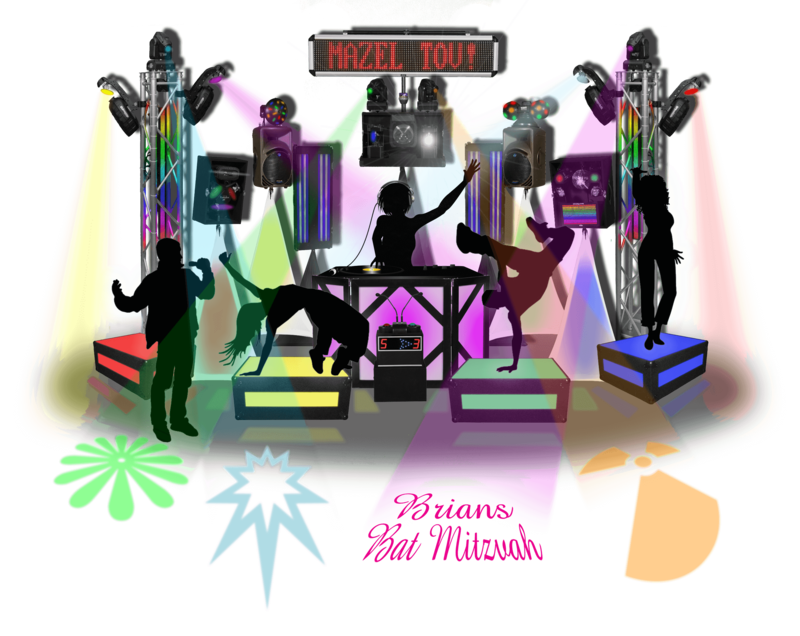 Our Basic Lighting Package is also included providing two five-hundred watt, colorful, sound activated lighting effects on each side of your dance floor. Two performers are included. The Master of Ceremonies announces all formalities with energy and personality while constantly engaging the audience to be involved. 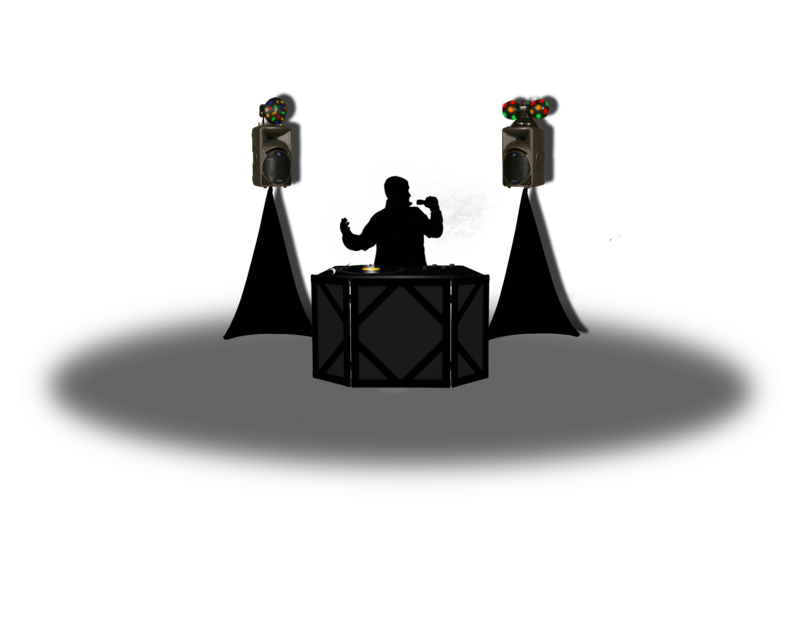 A Disc Jockey is also provided to handle all the musically related tasks while adding additional energy to your party. This in turn frees up your Master of Ceremonies away from the DJ equipment to better engage himself in your party, your guests, and any excess coordination that might arise spontaneously. Our Basic Lighting Package is also included. Three performers are included. 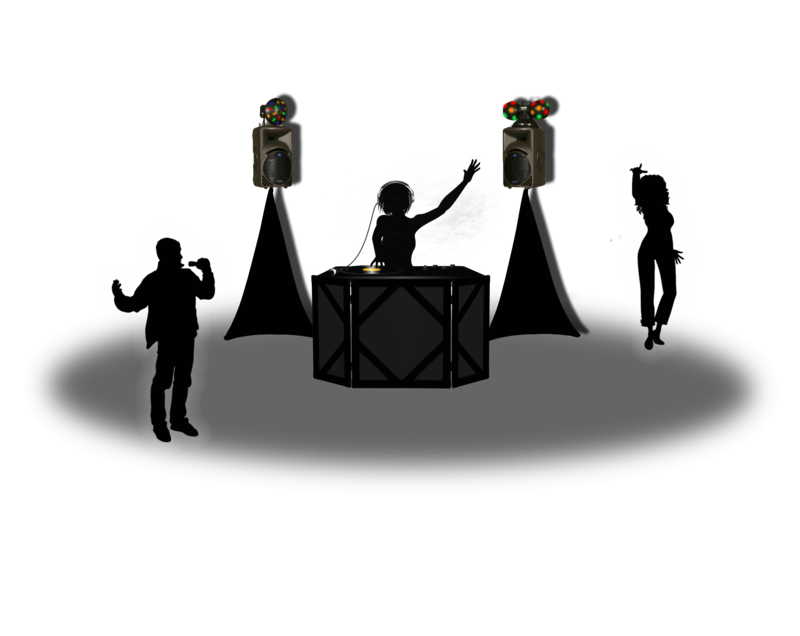 The Master of Ceremonies, The Disc Jockey, and the addition of a Professional Dancer, either male or female. The dancers job is to constantly involve them self in whatever is going on with your guests on the dance floor. Whether it be the kids, the adults, or both dancing together, they will provide an unlimited amount of energy and enthusiasm as they teach your guests the most up-to-date dance moves. This means more people will dance for longer periods of time. Our Basic Lighting Package is also included. The same three performers are still included. MC, DJ, and a Dancer, but with the impressive addition of a professional, Close-up Magician for your cocktail hour. A magician strolls among your guests performing acts of close up, sleight-of-hand manipulation during the cocktail hour. This provides expert entertainment for the younger guests before the main party begins. If you wish you can even switch out your Magician for a second dancer. Our Basic Lighting Package is also included. The only change with this package from the preceding one is that you get both a second Dancer and the professional Magician. This of course doubles the amount of guests that our dancers can reach with their special level of energy and involvement. You can choose one dancer to be male, and one to be female. 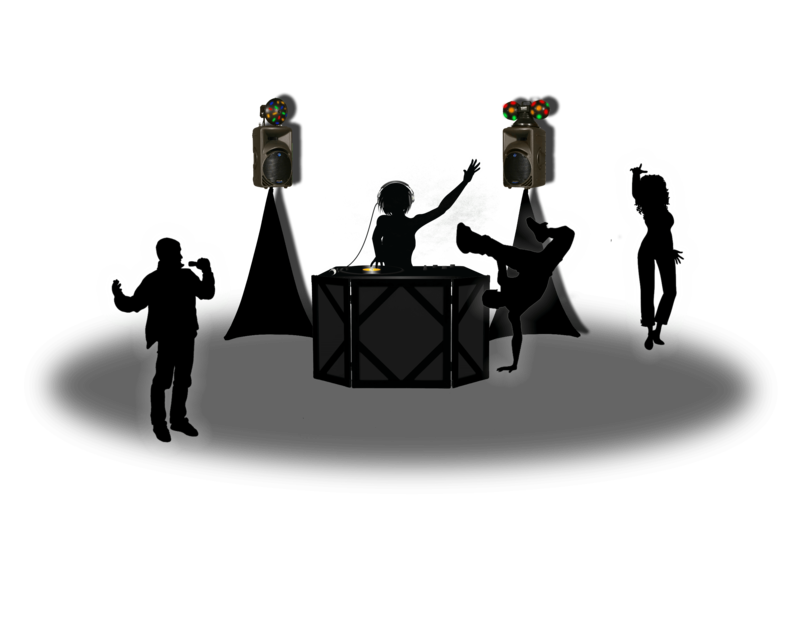 This allows everyone on the dance floor to have someone to whom they can relate while learning the newest dance steps. This is The Rolls Royce of our package choices. This package has something for everyone. It includes an MC, DJ, Two Dancers, and a Magician for the cocktail hour but thats only the beginning. Your cocktail hour will be quite memorable with the added extra of a Karaoke system operated by our karaoke hostess. Your guests will be able to sing along to their favorite hits as the words to the song appear on a TV screen. Included also is our Lighted Marquis. A Hollywood theme sign with blinking lights that has your son or daughters name brightly lit for all your guests to see and enjoy. This package is the only one to have our largest lighting option, The Intelligent Mega Bar, already included in the final price. The Bar includes ten different lighting effects full of color, including Lazers and Intelligent moving Heads. Black lights will also illuminate everything white in the banquet room. 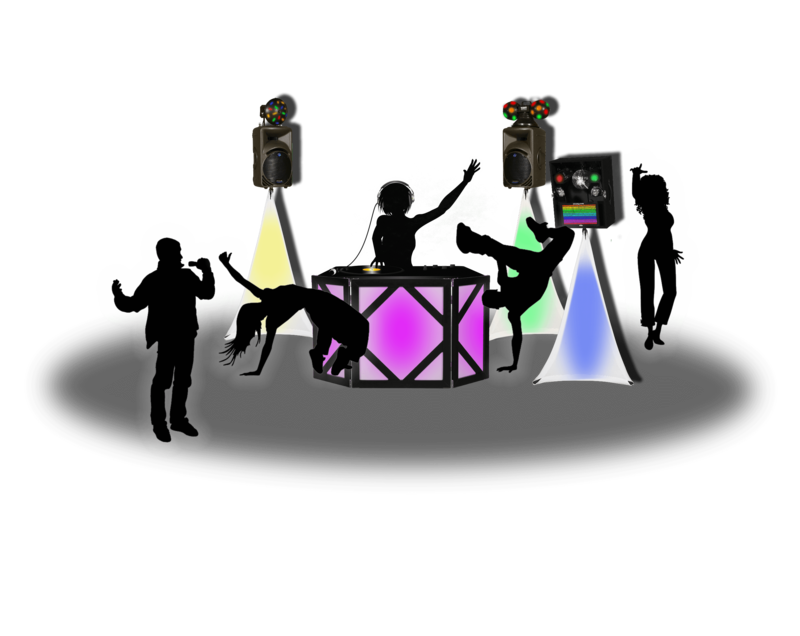 Also on the bar is a powerful strobe light to create a slow motion dance effect and a mirror ball for all your slow dance sets. Truly the ultimate package for a party you and your family will never forget. Imagine the feeling and security of all the vendors for your party having been taken care of by someone that knows who is best qualified for the job. Let us offer you the benefit of our vast party experience. In this Package you get all of the Ultimate Packages amazing extras but with something quite special. We will include our Photography, Videography and Party Planning services for you. All your formal and spontaneous photos will be taken care of by one of our professional Photographers. You Videography needs will be also taken care of. Our Video specialists will film your service as well as the entire reception. The video will then be expertly edited to perfection and burned onto a DVD for you to enjoy. We will also include our professional party planner to the package. Our Party Planner will be at your event to oversee every detail to ensure that you have a flawless event. If you wish this party planning package can be added to any of the other packages we have to offer separately.